In British Columbia, the Family Day holiday in 2019 is set for February 18th, the third Monday in the month. Last year, the statutory holiday took place on the second Monday in February, but a change was made to finally make this holiday move in line with other provinces in Canada. 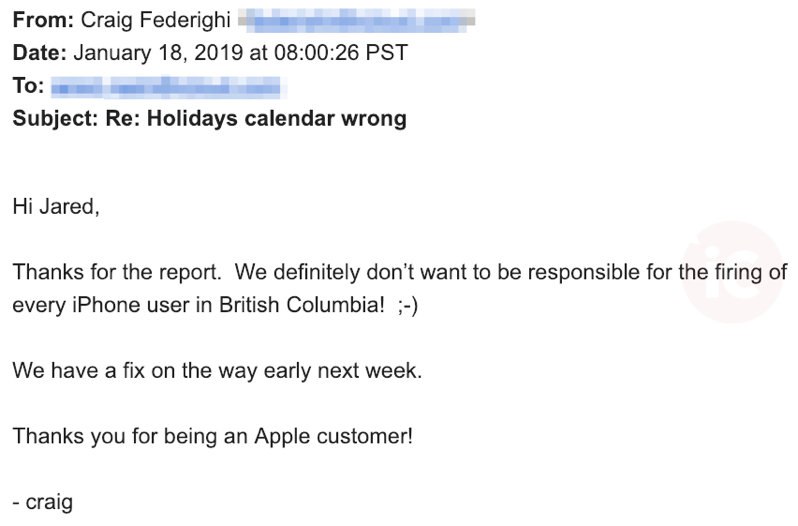 According to iPhone in Canada reader, Jared, he made holiday plans based on the iOS Holidays Calendar for Canada for BC Family Day, but the date had not been moved yet. Once he realized the error, he had to cancel his plans. We did verify the email headers to confirm the original reply came from Apple servers. 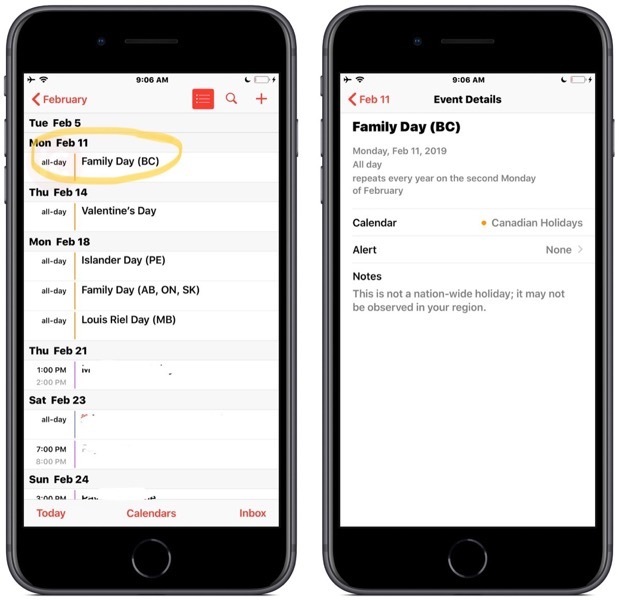 If you’re affected by this BC Family Day bug in the iOS Holiday Calendar, stay tuned and don’t book a vacation yet. 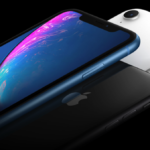 It most likely will be fixed in an upcoming iOS 12.1.3 update.